Tania is a princess of Faerie. And now she must return to the Mortal World. Once upon a time, Tania was an ordinary girl. But then she was swept into another world, where she was the long-lost princess of the elegant and magical court of Faeire, and only she could save the court from great peril. 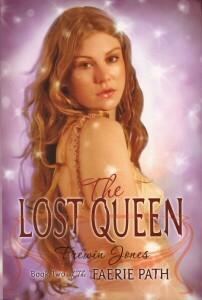 Now Tania - and her true love, Edric - will go back to the Mortal Realm to seek Queen Titania, lost hundreds of years ago while searching for Tania. Their return leads to struggles with Tania’s much-loved mortal parents and friends as she and Edric try to conceal their secret. But much more serious dangers lurk: the sinister Lord Drake is not yet defeated, they are pursued by dark supernatural forces, and Tania’s two worlds are about to collide in amazing and frightening ways she never could have anticipated.